I've got a fun post for you. Lately I've been doing a lot of decorating for our new makeup studio at Industry Makeup Academy. We've been having fun putting together a collage makeup wall. Today I'm going to show you a super easy way to display your makeup. Everyone has those makeup palettes and collections that are too old to use but too cute to throw away. 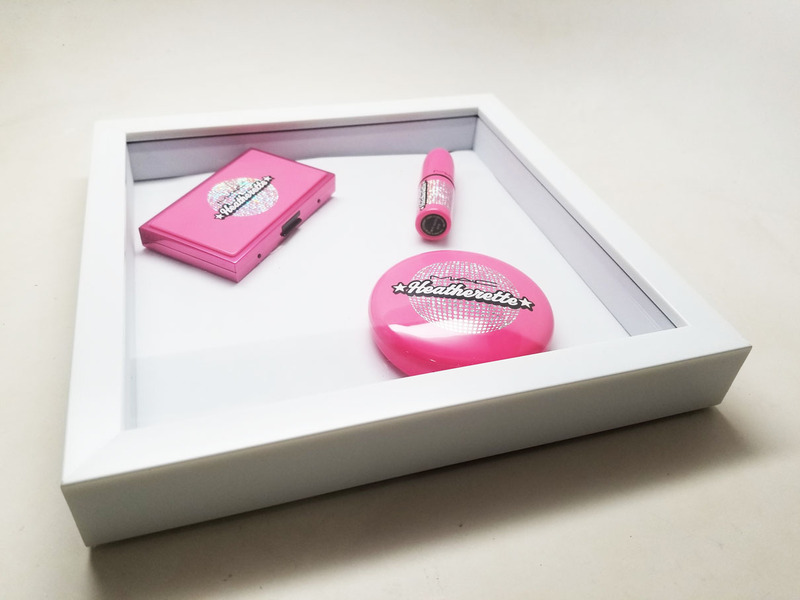 Why not show them off in a DIY Makeup Shadow Box? You can do it for under $10. 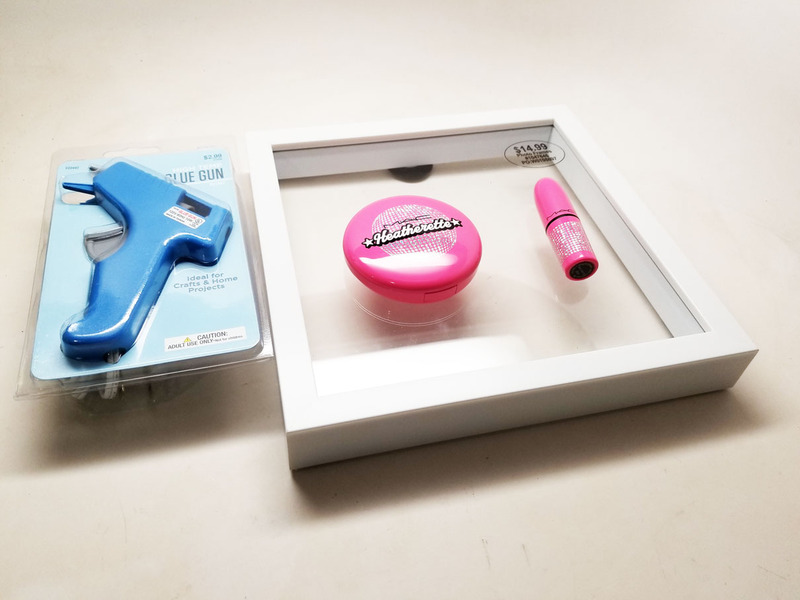 Shadow Boxes are actually super pricey. Instead find a picture frame that has a good amount of depth to it like this one from Hobby Lobby. It was also 50% off. You also need a glue gun. 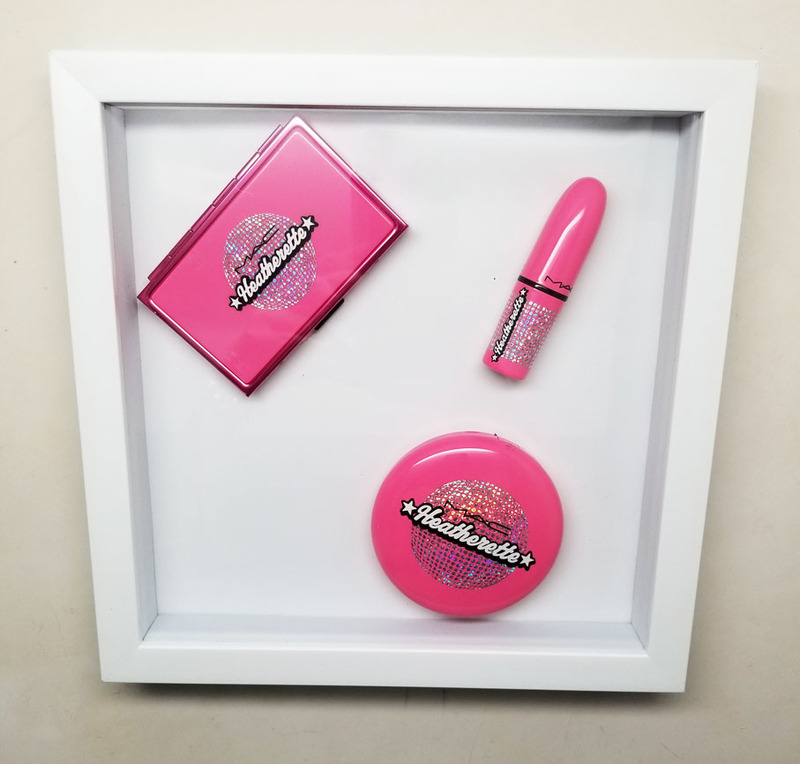 Just pick your favorite makeup products. Flip the display paper that comes with the frame so that you have a white paper background. Rearrange the makeup how you like it and then just put a dab of hot glue on the back and stick it on. Voila! Gorgeous makeup display that you can hang on your wall or have standing up on your vanity. 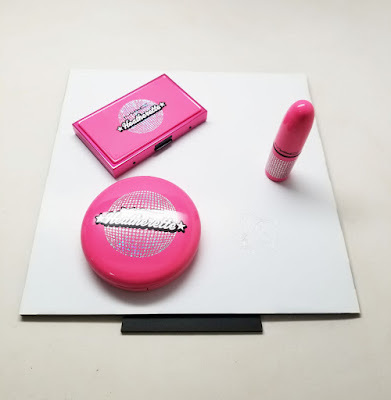 Does anyone remember the MAC Heatherette collection? Throwback! But the packaging is still to do for. If you guys end up doing this project yourself please tag me and share! New Hair Color and Cut! Cruise Vlog Part 3 - Good bye Bahamas! Winner! Urban Decay Naked Heat Giveaway! Game Day Makeup - Do or Don't?